You must make reservations at least 5 minutes in advance of the time at J-Prime Steakhouse. Fernando Davil on piano Tuesday-Saturday! Organizing a business dinner, corporate event, birthday party or wedding party?Let our highly skilled event planners manage every detail to ensure you and your guests enjoy the ultimate J-Prime VIP experience. 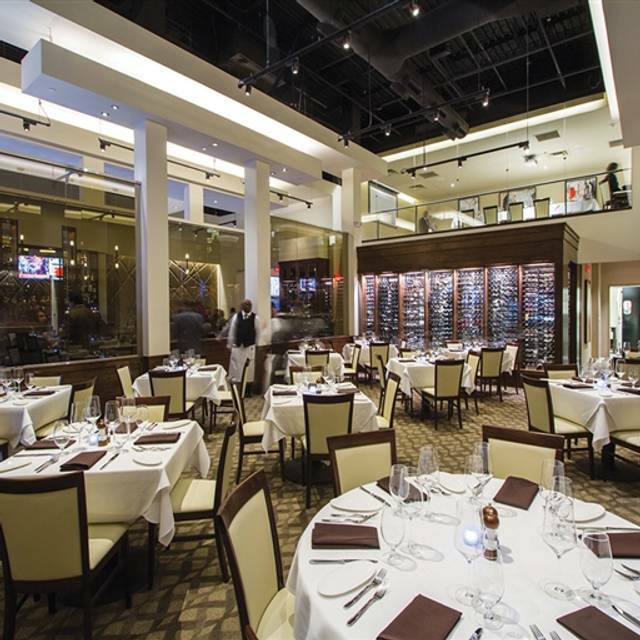 J-Prime Steakhouse is a full-service upscale steakhouse that offers more than prime cuts of USDA Prime beef, free range chicken, and wild caught sustainable seafood to its guests. The service, quality, and atmosphere are unmatched. J-Prime delivers a dining experience that demands excellent customer service and superior food. 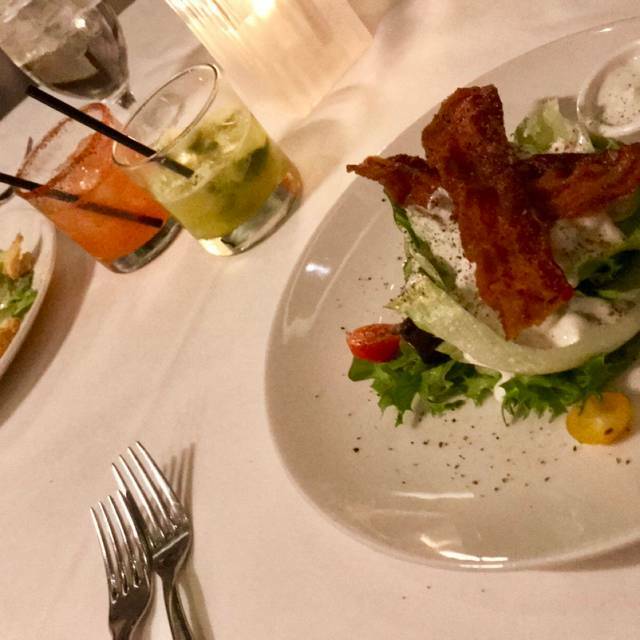 We look forward to having you dine with us! 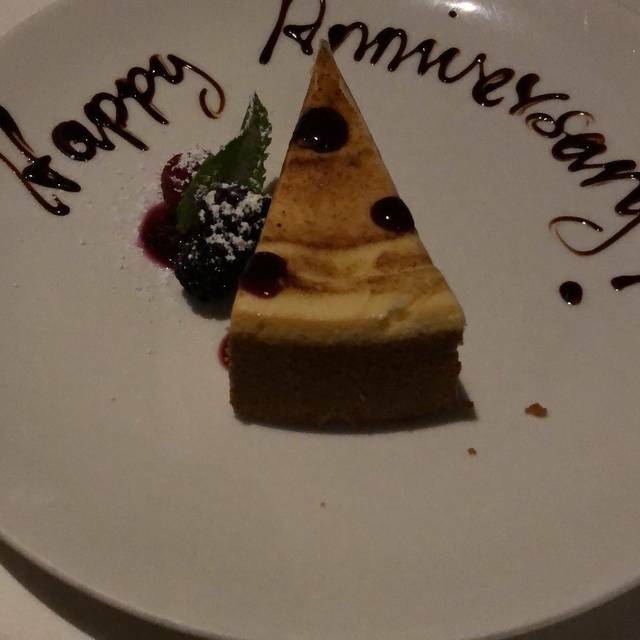 It was our 35 Wedding Anniversary.. Tyler our waiter was amazing!.. Took a lil bit long to get our drinks and our bread was at the very end, but Tyler kept us informed on the delay and kept us entertained. This restaurant never disappoints. The service is outstanding, the food is fantastic and the ambiance is great. They have a wonderful wine selection as well. It is pricey but worth it. This is our go to for special celebrations! We had the absolute best dinner! We ordered the Porterhouse for two and it was AMAZING! Bond, our server, was extremely knowledgeable with the wine selection and menu options. He helped us order from the appetizers down to the dessert. 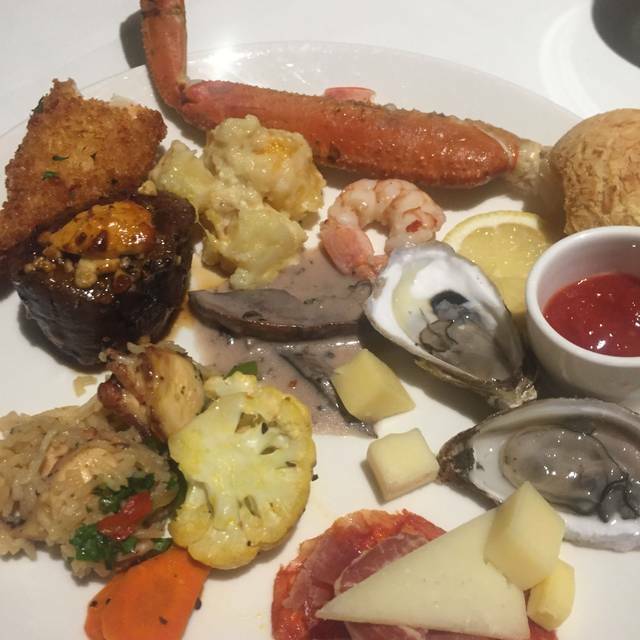 This was our best dining experience we’ve had as a couple and made an ordinary night feel like a special occasion! Thanks Bond! We will be back! Our experience with J. Prime each time we go has always been exceptional. The staff is attentive and courteous. The food and ambiance never disappoints. Food and Service were second to none. Oscar, Carlos and Tyler provided an exceptional experience. Once again, had a fabulous experience. This restaurant knows exactly what they are doing! You absolutely won't be disappointed. Everything was fantastic except for the smell. The place smelled like a Westin lobby with some kind of air freshener. I strongly suggest they stop it. The food smells great and the scent takes away from the experience and interferes with taste. Everyone who came to our table genuinely cared about our experience. 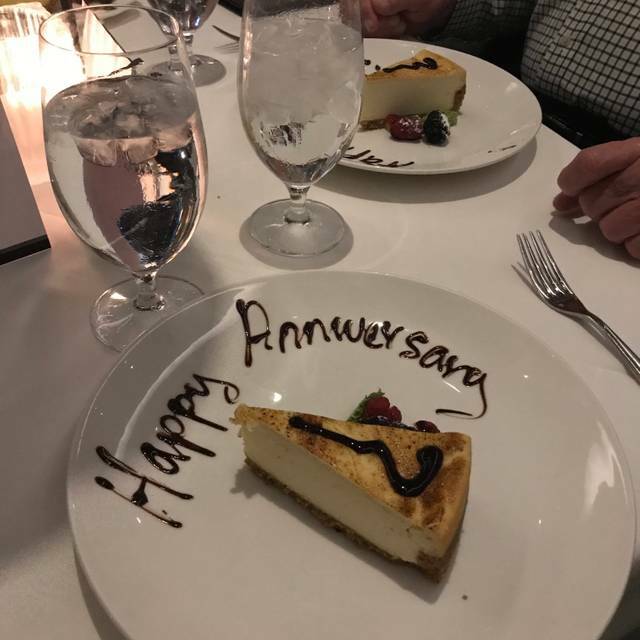 We noted it was our anniversary and they had a rose and a card on the table for us and gave us a complimentary dessert. The food was so good and flavorful! Worth every penny. 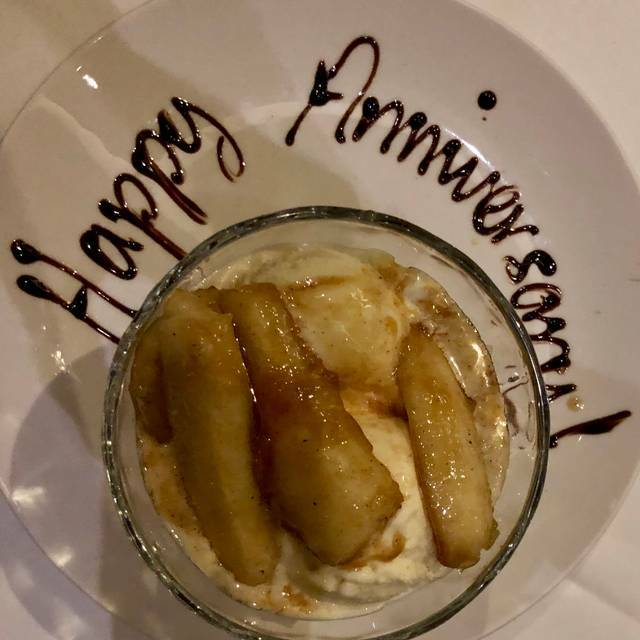 I chose J-Prime to celebrate my wife's and mine 31st Anniversary, they surpassed our expectations. Our server John was informative, attentive, and helpful. The food was excellent. 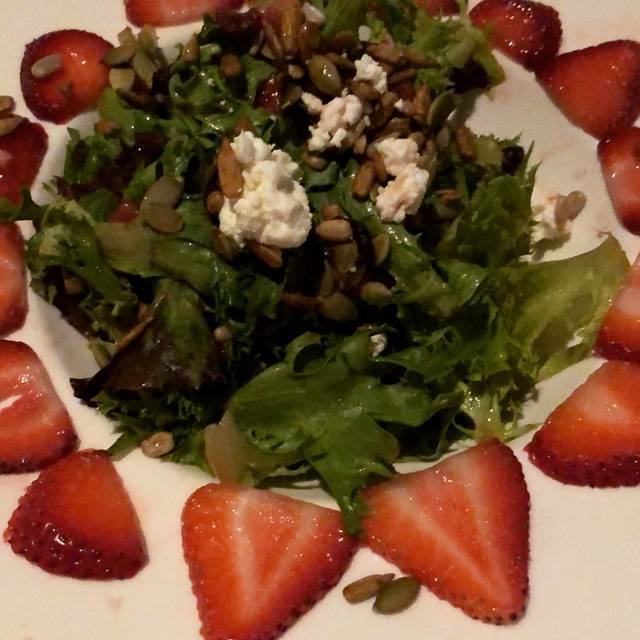 We started with a salad, Strawberry & Goat Cheese salad for my wife, and the Boston salad for me, both were delicious. I had the 12oz Filet and my wife had the Ahi Tuna and we had the Grilled Asparagus and Fried Yucca as sides. Since we never had tried Yucca before we asked John about it, and he was spot on. It was delicious, especially with the chimichurri sauce or the hot sauce they brought out. My steak was cooked to perfection and very tender, and my wife loved the Tuna. For dessert we split their Affogota Sundae which ended our dinner perfectly. Yes it is expensive, but for a special occasion this is a place I recommend and will return to. Wonderful food but the service is what made it stand out. You can get great steak at many places in San Antonio but you won’t find this level of service anywhere else. The people are fantastic! It was a fantastic dining experience! Everything was fabulous from food to service! The brunch was not that great. Food was cold and dry. Unbelievably good. We’re still talking about it! J Prime is now our favorite steak restaurant. We’ll be celebrating birthdays here from now on! I cannot put into words the decadence and class this establishment exudes with the justice it deserves. We enjoyed everything that touched our table, the staff was incredible, and the flair was unbeatable. I plan on reccomendeding the venue for my brother's wedding rehearsal dinner. I cannot wait to go here again. Great service, great food, excellent hospitality! The valet parking is in disarray. All the person did was place cones in all the spaces at the entrance. I thought valet parking was in a more distant area. The marketing pitch by ones of the "suits" was inappropriate. We have no idea what he said and it interrupted our otherwise pleasant evening. Loved every bit of this place. The server was very knowledgable and had great recommendations. 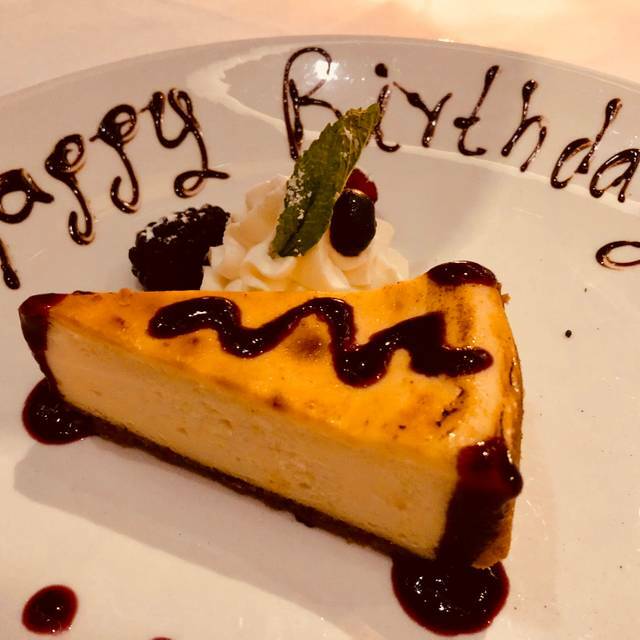 We went to celebrate a birthday and they really went out of their way to make us feel comfortable and have a great experience. Terrific service... they make you feel like family, from top to bottom. JPrime is always top notch. They pride themselves on superior service and food quality and it shows. The Sunday brunch is worth every penny. Excellent birthday evening, every detail was handled. This steakhouse has a great atmosphere and the Waite staff is phenomenal. The food is so tasteful. I would definitely drive miles and miles to eat here. Fantastic as always. 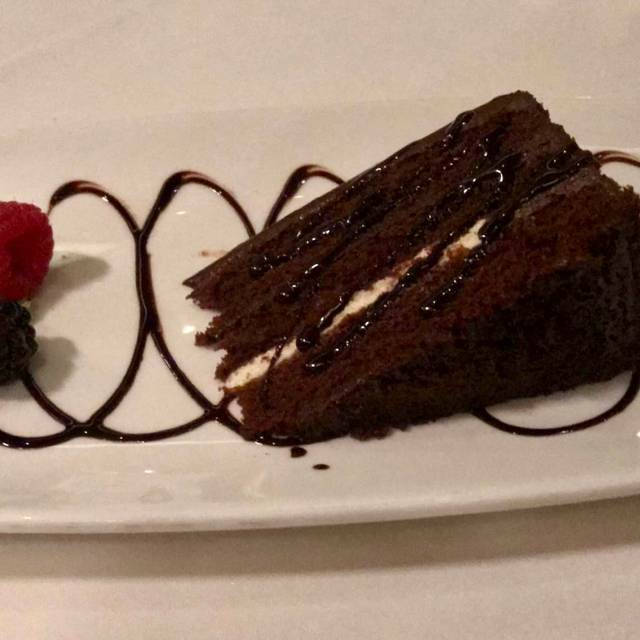 We have been to several different prime steakhouses in San Antonio and J Prime is our go to steakhouse for a prime steak and outstanding service. We are looking forward to our next visit. We had John as our lead waiter and he was incredible. The food was fantastic and the staff was very attentive. One of the best meals we have all had in a long time! Very good food and ambiance. If your looking for a nice quiet meal, this is the place. I had dinner here with several customers and the service was potentially the best I have ever experienced and the food was excellent as well. Will be back the next time in the area for sure. Awesome as always. J-Prime understands customer service. From Madison the Hostess, to the wait staff, and the management; they simply get it. My wife and I have brunch there every Sunday, and their brunch can’t be beat. Their dinner menu is absolutely magnificent. We have never had a bad meal or bad service. Great food and service. It was an excellent evening. Great food, great atmosphere. Bond was very attentive, and so was the rest of the staff including the hostess and concierge. This was our first visit to J Prime for a romantic dinner. The service by our waiter and the staff was excellent. The food was delicious and full of flavors and cooked to perfection. The waiter tailored the drinks to our preference. We thank you for making the evening wonderful. Overall experience was excellent. Impeccable service. Outstanding wine list. Food was second to none. Took my wife for date night. From the red rose on the table when we arrived to the perfect service and outstanding food and wine, everything was awesome! This place is amazing and they always get it right!!! Very nice restaurant- premium prices all around for food, wine. Service very attentive and friendly. The tuna tartare appetizer is a feast for the eyes, but oddly priced at $27. Strip steak was cooked to a perfect medium rare and was excellent. Side of Brussels sprouts was a bit undercooked and tough. Our waiter was incredible. The restaurant manager was incredible. Food was amazing. It was a toss up between Ruth’s Chris and J-Prime of where to go that night. Based on reviews, I chose J-P. Great choice. RC is still good. But JP won this battle. Will definitely return. Great job!